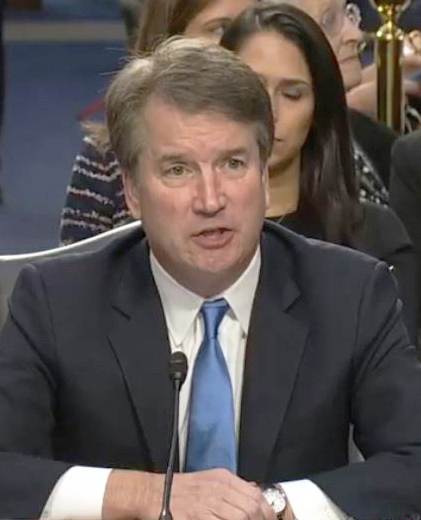 Following a speech Friday afternoon by Republican Senator Susan Collins of Maine, Judge Brett Kavanaugh, President Trump’s second nomination to the Supreme Court, appears to have 51 votes for confirmation. Sen. Collins’ position was unknown until her remarks on the Senate floor. Shortly thereafter, West Virginia Sen. Joe Manchin issued a statement in which he said he would also vote to confirm Judge Kavanaugh, who sits on the United States Court of Appeals for the District of Columbia Circuit. If the vote unfolds as is expected, likely on Saturday, it will fall entirely along party lines with the exception of Republican Lisa Murkowski of Alaska, who will vote against confirmation, and Democrat Manchin who said he would vote in support of the 53-year-old Kavanaugh. Technically the vote could be 50-49, since the daughter of Sen. Daines (R-Mt.) is getting married in Montana, and his presence apparently will not be required to achieve a majority. On Friday morning a procedural vote to close debate and move on to the next stage of voting passed by the same 51-49 . The Supreme Court’s current session began this past Monday and, if confirmed, Judge Kavanaugh is expected to be sworn in as soon as possible so that he can participate fully in all, or nearly all, cases.